The University of New Zealand (UNZ) was established in 1874. Although the University of Otago had opened in 1871 with a staff of three professors, UNZ was New Zealand’s only examining and degree granting institution. To manage the admission of students from the diverse areas of New Zealand, the university established three university colleges. The first was Canterbury College Christchurch in 1873, the second was Auckland University College in 1883, and the third was Victoria University College in Wellington in 1897. 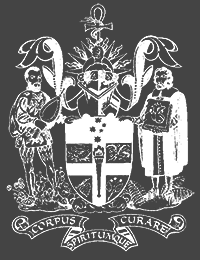 In 1898, having completed her secondary schooling, Mary Alice Blair enrolled at Canterbury College to undertake a Bachelor of Science. In 1899 she transferred to Victoria University College and, in 1901, transferred to Auckland University College and completed her bachelor degree in 1902. Mary Blair wanted to study medicine. By 1902, when she completed her science degree, only six women had graduated from medicine in New Zealand. Emily Seideberg was the first woman in New Zealand to graduate from medicine. 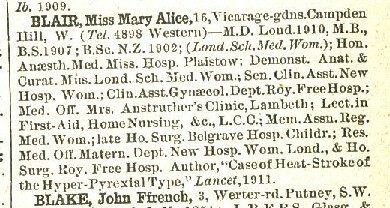 She attended the University of Otago Medical School and graduated in 1896. A year later her friend and contemporary, Margaret Cruikshank, became the second woman to graduate and the first woman to register in New Zealand as a medical practitioner. The university had already discussed allowing women medical students as early as 1881. But, because students had to complete their qualifications at the University of Edinburgh, and Edinburgh did not accept women students, it was a moot point. Women could not be granted admission to medicine at Otago in 1881 because they would be unable to complete their degrees. In 1891, Seideberg began her medical training at Otago, despite an initial vote of six to three in favour of “exclusion of women”. Two hospital trustees wanted special arrangements made for her and declared their unwillingness to teach mixed classes. Despite this, she graduated in 1896 and Cruikshank graduated a year later. There was not another woman graduate from medicine until 1900. Four women graduated in that group, with another three graduating in 1904. The uptake was slow. By 1911 it was suggested that the “craze for women studying medicine had gone” as there wasn’t another woman student for 11 years. 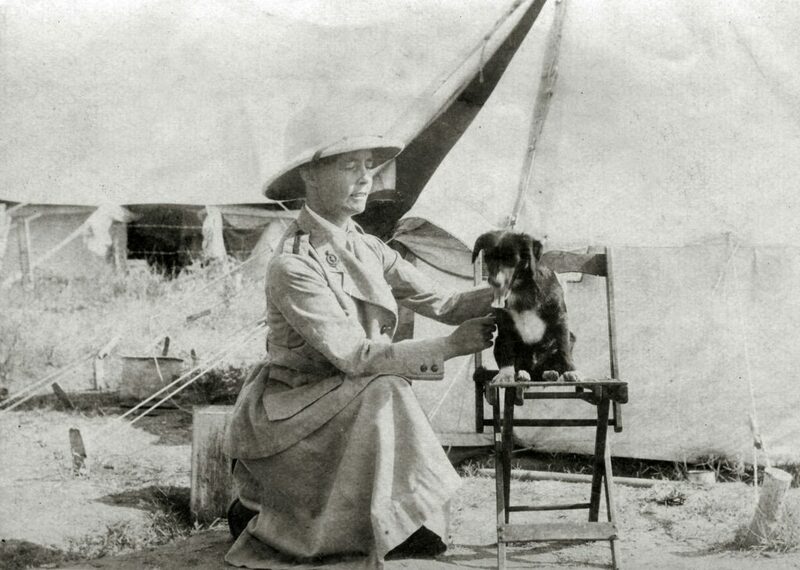 Blair decided to undertake her medical training at the London School of Medicine for Women, packed up her life and moved to other side of the world. 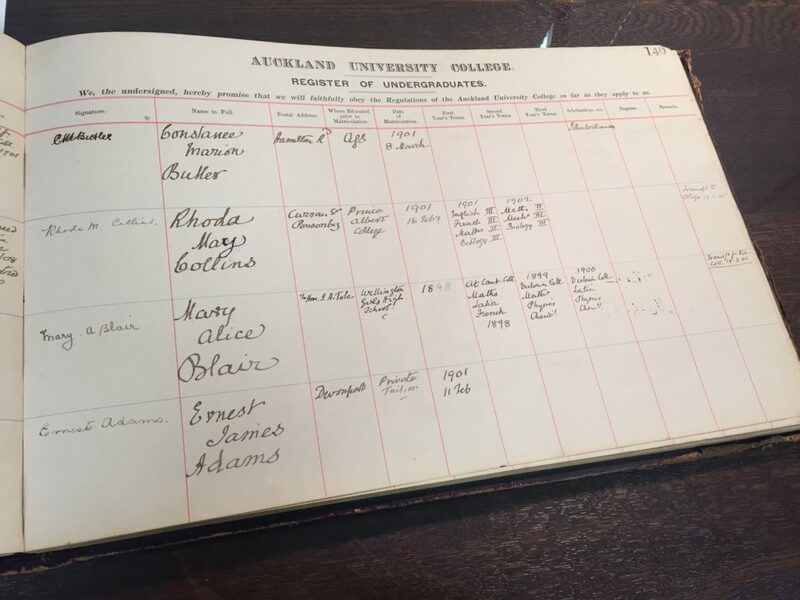 The 1914 Medical Directory shows Blair graduated MB BS in 1907, and she followed that up with an MD in 1910. Blair was appointed Honorary Anaesthetist at the Medical Mission Hospital Plaistow, which drew its patients from the Canning Town Women’s Settlement. Settlement communities sprang up in the 1880s as a response to the Reform Act 1867 which had enfranchised some working class men. The extension of the franchise came with a perceived need to educate the working class in their responsibilities as voters. At the same time, the settlements were seen as an attempt to alleviate poverty. The Medical Directory also lists a series of other positions held by Blair, presumably many, if not all of them, were concurrent. Additionally, she set up in private practice, first in Kensington and later in Westminster. Private practice was essential to those holding honorary positions. They were, as the name implies, unpaid positions. Private practice was how medical practitioners earned a living. On 4 August 1914, Britain declared war on Germany. In the first five months of the war, to January 1915, over 1,000,000 men volunteered for active service. However, this wasn’t enough men to counteract the growing casualties. Conscription was introduced in March 1916. Throughout WWI, conscription brought some 2.5 million men into the war. Despite the obvious toll on medical services both overseas and at home, qualified women doctors were not wanted for war service. When Dr Elsie Inglis offered her services to the War Office, she was reputedly told, “My good lady, go home and sit still”. In response, Dr Inglis formed the Scottish Women’s Hospitals for Foreign Service (SWH). In August 1915, the SWH sent a unit, under Dr Mary Blair’s leadership, to support Dr Alice Hutchison’s unit in Valjevo, Serbia. Their arrival in Salonika in October coincided with the news that all hospital units in Serbia were to be evacuated. The first group of 300 refugees left Salonika by ship under Blair’s direction. The unit landed in Corsica on Christmas morning, 1915. Typhoid, pneumonia, appendicitis and maternity cases were all cared for in one ward. During 1916 Blair was contracted as a civilian surgeon attached to the Royal Army Medical Corps (RAMC). Women serving as full time doctors with the RAMC did exactly the same work as their male colleagues but were not afforded the rank or status of men. The War Office acknowledged that operating without rank caused considerable disadvantage to these women doctors and was prepared to consider the claim of a deputation from the Medical Women’s Federation, for equal rank and equal pay. However, Winston Churchill argued that women could not perform in all ways a male counterpart would be expected to, as it was impossible for them to take command should the need arise. As a result, the claim was dismissed, although was raised again during World War II. Blair served throughout WWI, continuing through to 1919 as a civilian medical practitioner with Queen Mary’s Army Auxiliary Corps at Isleworth Hospital. Post war, she stayed in England, maintaining her private practice in obstetrics and gynaecology. Mary Alice Blair was born 27 February 1880 and died in 1962, aged 81.